Beautiful 3 level condo in desirable Community, this condo is a corner unit. It is less than a mile away from Claremont and minutes to Claremont Village with stores & restaurants nearby. Did you know you can walk to In N Out from your condo! I don't know if this is a good thing or bad thing, I say it's a very good thing :). Condo features a 2 car garage with access to entry level bedroom, use the entry level bedroom as a work out room, office or movie room. The 2nd level features a guest bathroom, open living room, dining area, kitchen with stainless steel appliances, tile flooring and a pantry area. Relax & enjoy the beautiful covered balcony, your balcony is set up with a gas valve for your BBQ and get your grill on!. The condo has lots of natural light in addition to recessed lighting through out the home, the condo also has a Life Source Water System for healthy drinking water and cleaning. The 3rd level of the home features 3 bedrooms, 2 baths, laundry room and a desk area in the hallway. It is tastefully painted and has neutral color carpet. The Master bedroom features a ceiling fan, walk in closet & custom wood shutters. The master bathroom has dual vanity sinks and a over sized walk in shower with plenty of storage space under the sinks. 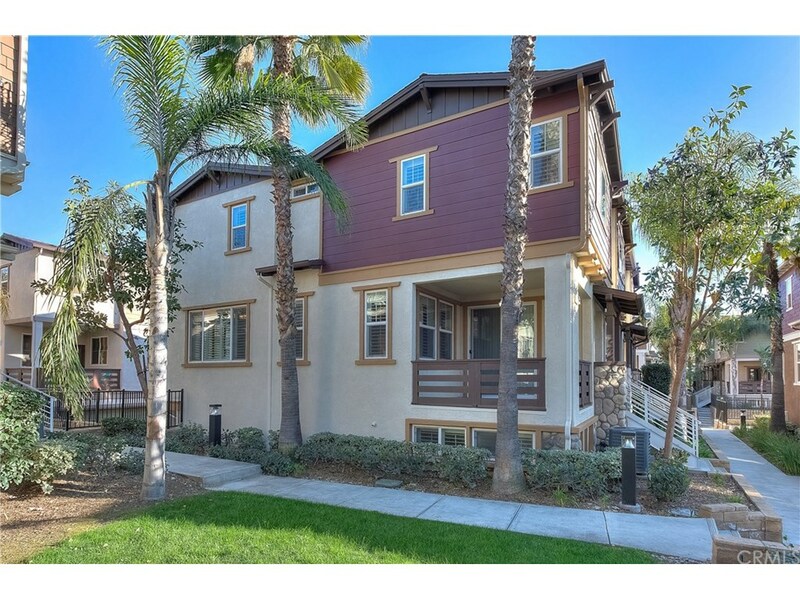 This condo has easy access to the freeway and is just minutes away from Montclair Plaza, Costco and other locations. The community is gated and its well maintained, it features gated pool and spa, children play area and dog park.